GO! A week on Friday, that is. Lucky US gamers have been carving up the dirt in Excitebike World Rally for months now, but there's now a confirmed date for European gamers to join the fray - February 5th. With Eco-Shooter 530 releasing tomorrow and now Excitebike (newly subtitled World Challenge in Europe), it's a good time to be a WiiWare fan. Pull a wheelie, face daredevil jumps and go up against other crazy racers in the newest instalment of the legendary Excitebike series, available to download only from WiiWare next week! In Excitebike World Challenge, you will race your way to glory through 9 exotic locations worldwide, and compete with friends using the Nintendo Wi-Fi Connection as you choose from multiple camera angles and tilt your way to smooth landings, all with the precision of the Wii Remote. An intuitive Track Editor also allows you to choose from all available obstacles and put together your dream course, then share courses with friends to see whose creation skills reign supreme. Drive your motorbike through an obstacle course and attempt to reach the finish line in the shortest amount of time. Each of the 16 different tracks has a finish time goal that you must beat in order to unlock additional feature of the game, ranging from the next set of tracks to new bike colours. The first Excitebike game debuted in Japan in 1984. Since then, the series has built up a loyal fan base who love the thrill of the high octane action. This latest instalment for WiiWare returns to the series roots by remodelling the original classic. Devilish multiplayer tactics add to the fun. 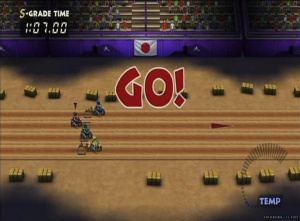 The terrain-altering effects introduced in Excite Truck, on Wii allow you to create ramps to give you a shortcut over an obstacle, or hills to confuse rival drivers around you, for example. In terms of action, Excitebike World Challenge will be as exciting for newcomers to the series as for fans of the previous games. See why this game became a legend more than twenty years ago and experience it updated for 2010, when Excitebike World Challenge becomes available to download on WiiWare on Friday 5th February for 1000 Wii Points. We reviewed Excitebike World Challenge shortly after its US release, so be sure to check out the review if you're unsure whether it's worth taking it for a spin. But with this, Ecolis and Max, those are three great successive WiiWare weeks. If only VC would still exist. Wait, it DOES still exist? Wish Nintendo'd let us know. Eco-shooter and Excitebike insta-download. I'm glad. Though I think the rest of the update will be poor (dsiware included). From a few seconds ago. Finally, I was afraid this would be another LiT. I'm not really that excited about the eco shooter. 1000 Wii Points and according to the review it's pretty short, even though I love rail shooters. Maybe they'll go mental and throw the VC a bone? Super Mario Kart, perhaps? 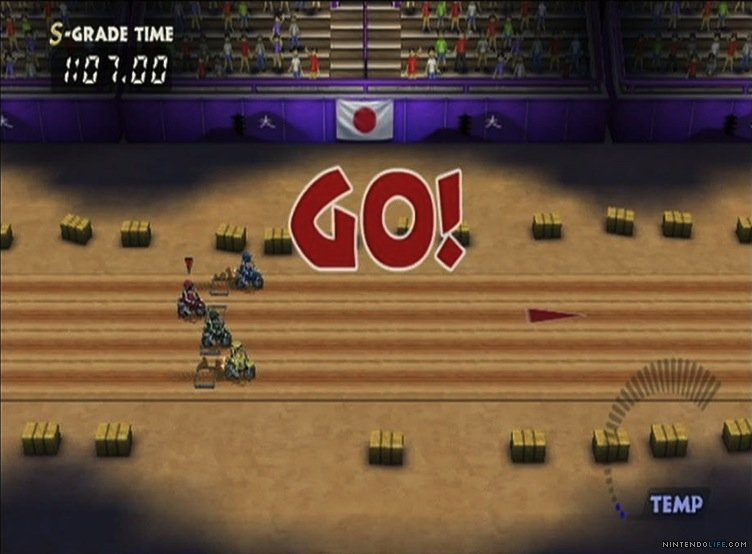 Would two racing games compliment eachother, or clash? About bloody time. We got so much catching up to do on Wiiware over here. Hope 'Castlevania Rebirth' comes next. Not to change the subject, but is the N64 one any good? Great for EU! Excitebike was a LOT more fun than I thought it would be, and you'll be doing yourselves a great service by giving it a shot. You forgot to mention Drill Sergeant MindStrong will be released tomorrow. No one hyped for that?? Not interested. I never really got into ExciteBike before. Although I did like Excite Truck for a while when I had it, it proved to be too simple to be worth keeping. A version of Excite Truck with different courses to the retail game but otherwise the same would do well for the WiiWare IMO. It was basically a demo game, they should be able to take that and fit it on to WiiWare. Wooohooo! Excite Bike is here! Never actually tried it before, but it seems good enough for me to give it a whirl. I know Excite Truck was good, that's for darn sure! @Bass XO This is a lot better than the original ExciteBike. If there is a demo for it sometime, you should give it a shot. I'll need a demo first. I'll play it then. But if they don't give us one, I doubt I'll play it at all. Can I play people in EU on-line? Oh sweet! This should boost the online community. @JayArr: I believe so, yes. @pixelman: are people still playing after these few months in the us? Does it take long to get an online race? I hope us European's joining in will boost the community rather than come in too late. @Ezekiel. Apparently it has been pushed to Feb 5th. So basically sent to die is the word. "Not to change the subject, but is the N64 one any good?" Excitebike 64 is single-handedly the best racing game on the system. There is simply no comparison. There are so many modes and tracks (as well as the track editor) that it's busting at the seams with content. Also, most people don't seem to know this, but Excitebike World Rally is really just an expansion on the Excite 3D mode from Excitebike 64. Finally! I mean Jeez it took a long time! Or is it to much to ask for? The Excite series doesn't seem to like Europe. Excite Bots: US: April 20, EU: ...?